ESTIMATED COMPLETION 8/31/2019....Beautiful 3040 sq/ft 4 bedroom, 3 bath, 3 car garage home sitting on 1.25 acres of HORSE Properts. Home will feature 10 ft high ceilings, 20 inch tile and carpet throughout. Gourmet kitchen with a electric cook top, wall oven and microwave, kitchen island, granite counter tops, and TONS of cabinet space. All Stainless Steel appliances Master suite fit for a King! Master bathroom, with feature dual sinks & a HUGE walk in shower. Integra Block Home. R30 insulation in the walls, and R38 insulation in the attic. 14 seer AC with 4 zone controlled thermostats. Customize this home to your liking! 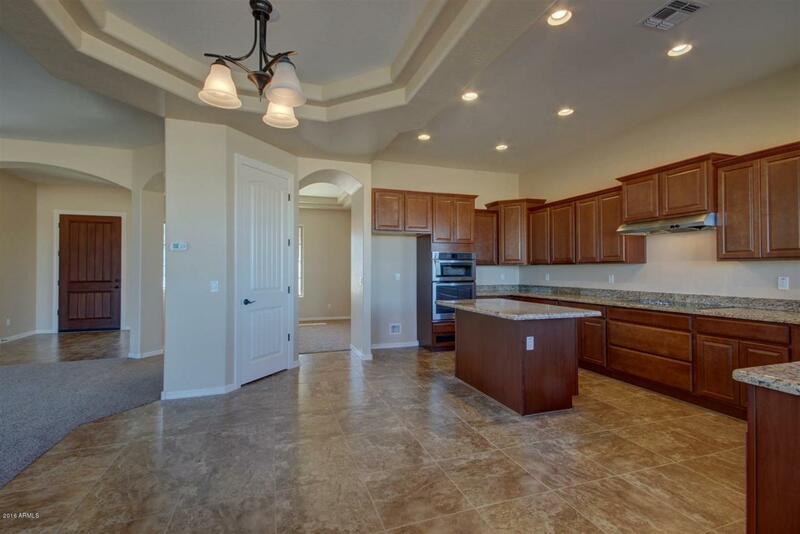 Built at the base of the San Tan Mountain with SPECTACULAR views from your back patio!! Home is in the process of being built. Customize this home to your liking!